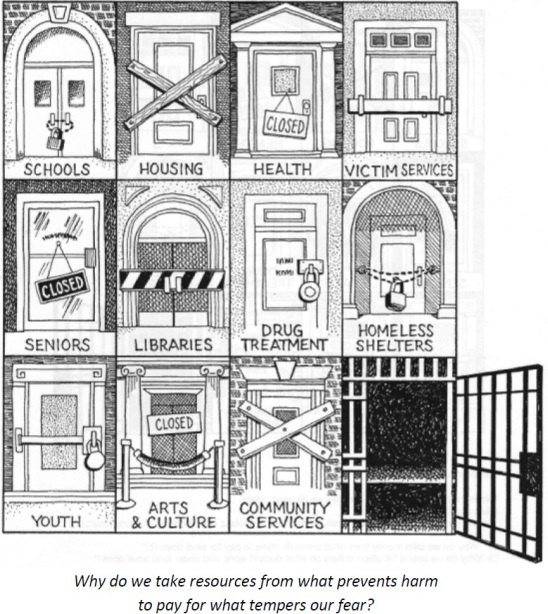 The prison system is both a cause and a result of violence and social injustice. Throughout history, the majority of prisoners have been powerless and oppressed. We are increasingly clear that the imprisonment of human beings, like their enslavement, is inherently immoral, and is as destructive to the cagers as to the caged. Prison abolition is both a process and a long-term goal. In the interim, there is a great need for Friends to reach out to and to support all those affected: guards, prisoners, victims and families. 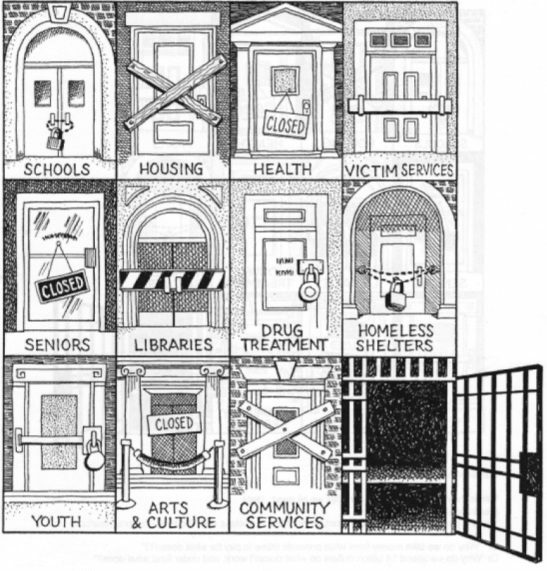 CFSC’s current criminal justice work arises from a vision of penal abolition (PDF) – seeking to eliminate the punitive mindset that pervades society and justice systems. Penal abolition acknowledges that the harm caused by prisons results from a systemic justice foundation that focuses on punishment. Changing this mindset means transforming harmful approaches to ones that are healing. The term “penal” originates from the Latin and Greek words for punishment, and to “punish” is to cause suffering. It is the suffering inherent in the justice system that Quakers wish to abolish − for victims, perpetrators, institutional staff, families, and communities. 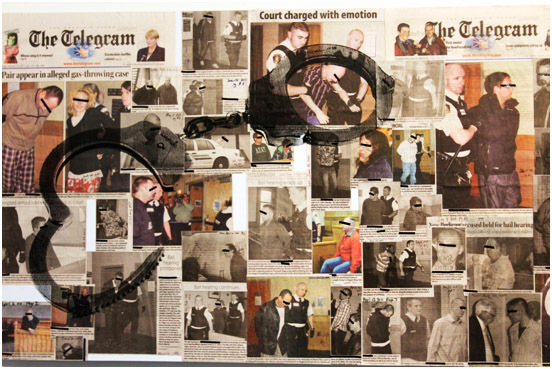 Ripped Apart or Stitched Together, an art collaboration supported in part by CFSC, seeking to confront biases and prejudices toward those who cause or experience harm, presented at the 2014 National Restorative Justice Symposium in Banff, Alberta. CFSC supports restorative justice and rehabilitative practices as an alternative to prisons and a punitive criminal justice system. Restorative justice acknowledges that criminal behaviour causes community harm to victims, communities and also offenders. Rather than punishing an offender, CFSC encourages the use of practices that focus on healing and restoring community balance, including structural injustices that lead to crime and inequality. CFSC also engages in education and policy work in restorative justice through our partnerships with the National Associations Active in Criminal Justice (NAACJ), the Church Council on Justice and Corrections (CCJC), the Canadian Criminal Justice Association (CCJS), the Canadian Coalition for the Rights of Children (CCRC), the Canadian Families and Corrections Network (CFCN) and the Collaborating Centre for Prison Health and Education at the University of British Columbia. 2017 National Restorative Justice Symposium hosted by the Collaborative Justice Program: Restorative Justice Ottawa (CJP) and the CCJC, co funded by CFSC.